I recently downloaded the Shoppers Drug Mart app, and it’s pretty great! It certainly serves as an advertising platform, but it does it in such a way that I didn’t find myself immediately uninstalling the app. So they’re off to a good start! 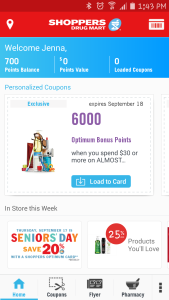 The app always has coupons and the latest flyer, as well as a shopping list. All these features significantly cut down on the amount of paper you’ll have to use. The shopping list is very generic, and could be used at Shoppers Drug Mart, or any other store where you might find a list to be handy. There’s a store locator, and also a section where you can manage your prescriptions and request refills at the tap of a button. But by far my favourite feature is that it gives you access to your Shoppers Optimum card without having to carry it around in your wallet. Absolutely more stores with membership cards should work towards this idea. No one likes carrying around 7 different cards for 7 different stores. Instead of taking out a card, you take out your phone, and it can be scanned directly from there. 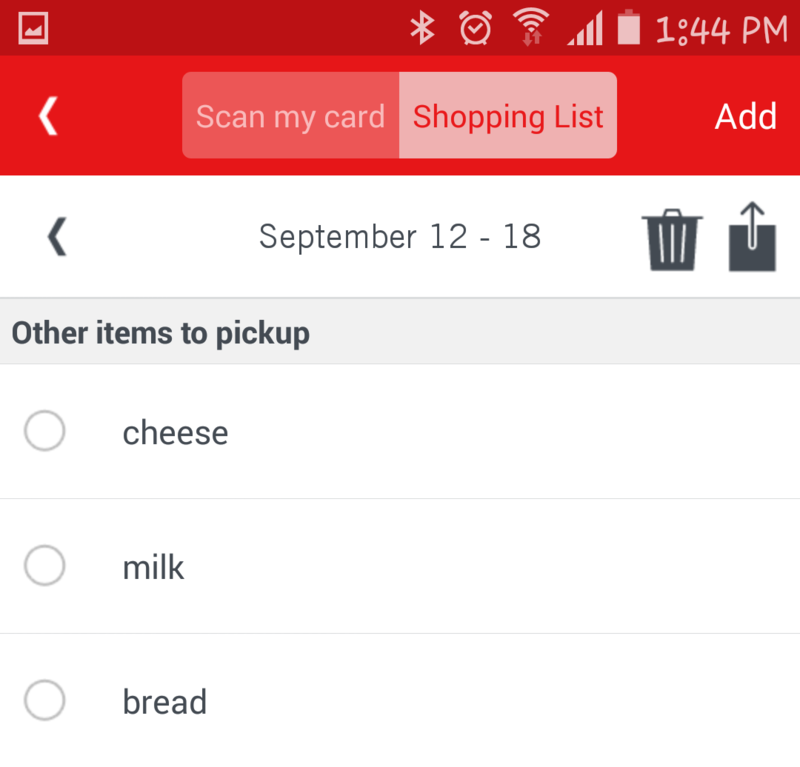 The card can be accessed from the action bar at the top of the app, or by tilting your phone sideways – a cool little feature! The app also lets you update your address, phone number, or other account details. 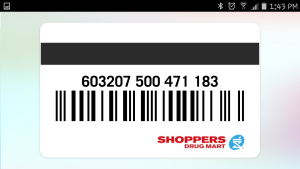 The Shoppers Drug Mart app is a very useful app that doesn’t intrude on your attention-space by over advertising. If you shop at Shoppers or use any of its services, this app is a valuable addition to your phone!